Part Three of Sky Jacks continues smoothly from where Part Two ended, without pausing for a moment. 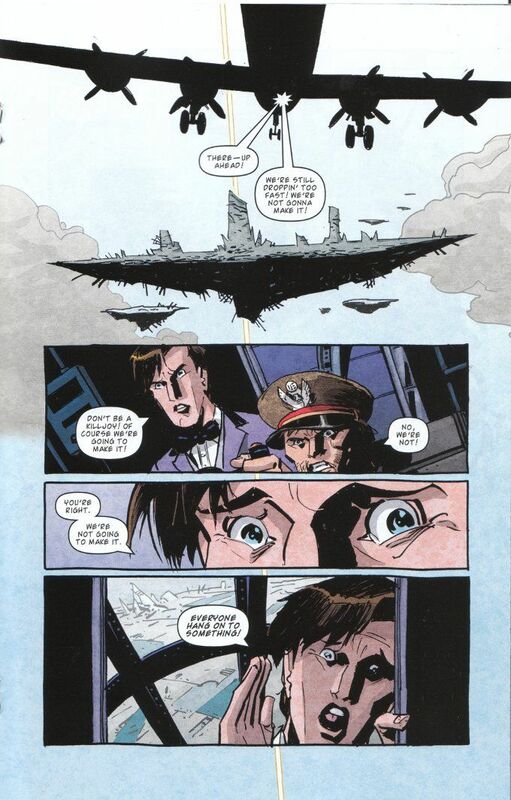 Trapped in a seemingly endless limbo on-board a steam-powered World War II bomber, The Doctor and Clara have solved the mystery of where they are and why they can't summon The Doctor's ship - The TARDIS. Naturally, the answers (i.e. 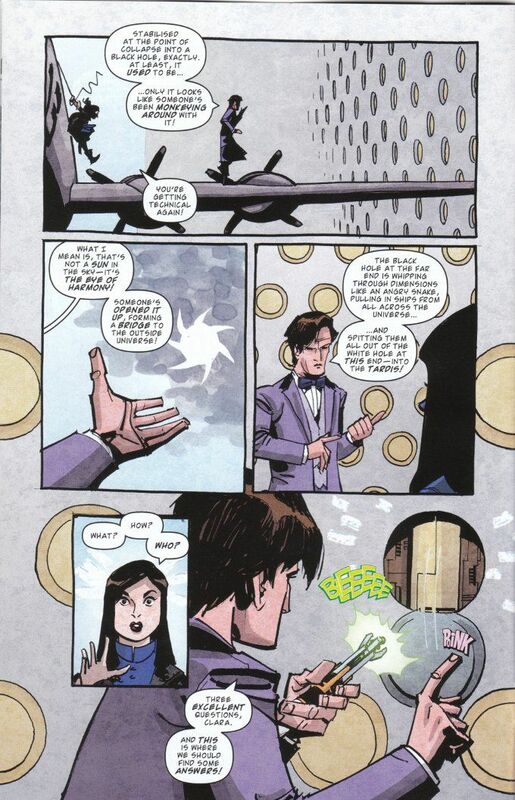 they're somewhere inside The TARDIS) just lead to further questions as our heroes quickly find themselves under attack and at the mercy of a new enemy. Fans of the show may complain that this story by Andy Diggle and Eddie Robson seems derivative of the second half of Series 7, with Diggle's new villainous mastermind seeming to be an ersatz copy of the main villain of that series. While the similarities are there and this story has quite a bit in common with the episode Journey To The Center of The TARDIS, one can hardly fault Diggle and Robson for the similarities given that they must have had this story written months before the new series ever aired. Taken on its' own merits, this is a crackerjack Doctor Who story with plenty of tension and humor to thrill and amuse the reader. I've said before that I don't find the artwork of Andy Kuhn aesthetically pleasing. That is not to say that it is bad - merely that as a fan I prefer cleaner, less-stylized art in my comics. Yet I cannot deny that Kuhn's style with its' heavy inks and exaggerated characters is a perfect fit to the dirty, Steampunk aesthetic of Diggle and Robson's story.